An example of a flight data recorder; the underwater locator beacon is the small cylinder on the far right. (Translation of warning message in French: "FLIGHT RECORDER DO NOT OPEN".) The warning appears in English on the other side. A flight recorder is an electronic recording device placed in an aircraft for the purpose of facilitating the investigation of aviation accidents and incidents. Flight recorders are also known by the misnomer black box—they are in fact bright orange to aid in their recovery after accidents. There are two different flight recorder devices: the flight data recorder (FDR) preserves the recent history of the flight through the recording of dozens of parameters collected several times per second; the cockpit voice recorder (CVR) preserves the recent history of the sounds in the cockpit, including the conversation of the pilots. The two devices may be combined in a single unit. Together, the FDR and CVR give an accurate testimony, narrating the aircraft's flight history, to assist in any later investigation. The two flight recorders are required by international regulation, overseen by the International Civil Aviation Organization, to be capable of surviving the conditions likely to be encountered in a severe aircraft accident. For this reason, they are typically specified to withstand an impact of 3400 g and temperatures of over 1,000 °C (1,830 °F), as required by EUROCAE ED-112. They have been a mandatory requirement in commercial aircraft in the United States since 1967. After the unexplained disappearance of Malaysia Airlines Flight 370 in 2014, commentators have called for live streaming of data to the ground, as well as extending the battery life of the underwater locator beacons. Cockpit voice recorder (on display in the Deutsches Museum). This is a magnetic tape unit built to an old standard TSO C84 as shown on the nameplate. The text on the side in French says "flight recorder do not open"
One of the earliest and proven attempts was made by François Hussenot and Paul Beaudouin in 1939 at the Marignane flight test center, France, with their "type HB" flight recorder; they were essentially photograph-based flight recorders, because the record was made on a scrolling photographic film 8 metres (8.7 yd) long by 88 millimetres (3.5 in) wide. The latent image was made by a thin ray of light deviated by a mirror tilted according to the magnitude of the data to record (altitude, speed, etc.). A pre-production run of 25 "HB" recorders was ordered in 1941 and HB recorders remained in use in French flight test centers well into the 1970s. In 1947, Hussenot founded the Société Française des Instruments de Mesure with Beaudouin and another associate, so as to market his invention, which was also known as the "hussenograph". This company went on to become a major supplier of data recorders, used not only aboard aircraft but also trains and other vehicles. SFIM is today part of the Safran group and is still present on the flight recorder market. The advantage of the film technology was that it could be easily developed afterwards and provides a durable, visual feedback of the flight parameters without needing any playback device. On the other hand, unlike magnetic tapes or later flash memory-based technology, a photographic film cannot be erased and recycled, and so it must be changed periodically. As such, this technology was reserved for one-shot uses, mostly during planned test flights; and it was not mounted aboard civilian aircraft during routine commercial flights. Also, the cockpit conversation was not recorded. Another form of flight data recorder was developed in the UK during World War II. Len Harrison and Vic Husband developed a unit that could withstand a crash and fire to keep the flight data intact. This unit used copper foil as the recording medium with various styli indicating various instruments / aircraft controls which indented the copper foil. The copper foil was periodically advanced at set periods of time therefore giving a history of the instruments / control settings of the aircraft. This unit was developed at Farnborough for the Ministry of Aircraft Production. At the war's end the Ministry got Harrison and Husband to sign over their invention to it and the Ministry patented it under British patent 19330/45. This unit was the forerunner of today's recorders being able to withstand conditions that aircrew could not. The first modern flight data recorder, called "Mata Hari", was created in 1942 by Finnish aviation engineer Veijo Hietala. This black high-tech mechanical box was able to record all important details during test flights of fighter aircraft that the Finnish army repaired or built in its main aviation factory in Tampere, Finland. During World War II both British and American air forces successfully experimented with aircraft voice recorders. In August 1943 the USAAF conducted an experiment with a magnetic wire recorder to capture the inter-phone conversations of a B-17 bomber flight crew on a combat mission over Nazi-occupied France. The recording was broadcast back to the United States by radio two days afterwards. In 1953, while working at the Aeronautical Research Laboratories (ARL) of the Defence Science and Technology Organisation, in Melbourne, Australian research scientist David Warren conceived a device that would record not only the instrument readings, but also the voices in the cockpit. In 1954 he published a report entitled "A Device for Assisting Investigation into Aircraft Accidents". Warren built a prototype FDR called "The ARL Flight Memory Unit" in 1956, and in 1958 he built the first combined FDR/CVR prototype, which was designed with civilian aircraft in mind, for explicit post-crash examination purposes. Aviation authorities from around the world were largely uninterested at first, but this changed in 1958 when Sir Robert Hardingham, the Secretary of the British Air Registration Board, visited the ARL and was introduced to David Warren. Hardingham realised the significance of the invention and arranged for Warren to demonstrate the prototype in the UK. The ARL assigned an engineering team to help Warren develop the prototype to airborne stage. The team, consisting of electronics engineers Lane Sear, Wally Boswell and Ken Fraser, developed a working design that incorporated a fire-resistant and shockproof case, a reliable system for encoding and recording aircraft instrument readings and voice on one wire, and a ground-based decoding device. The ARL system, made by the British firm of S. Davall & Sons Ltd, in Middlesex, was named the "Red Egg" because of its shape and bright red colour. The units were redesigned in 1965 and relocated at the rear of aircraft to increase the probability of successful data retrieval after a crash. The "Flight Recorder" was invented and patented in the United States by Professor James J. "Crash" Ryan, a professor of mechanical engineering at the University of Minnesota from 1931 to 1963. Ryan's "Flight Recorder" patent was filed in August 1953 and approved on November 8, 1960 as US Patent 2,959,459. A second patent by Ryan for a "Coding Apparatus For Flight Recorders and the Like" is US Patent 3,075,192 dated January 22, 1963. An early prototype of the Ryan Flight Data Recorder is described in the January 2013 Aviation History Magazine article "Father of the Black Box" by Scott M. Fisher. Ryan, also the inventor of the retractable safety seat belt now required in automobiles, began working on the idea of a flight recorder in 1946, and invented the device in response to the 1948 request from the Civil Aeronautics Board for development of a flight recorder as a means of accumulating data that could be used to get information useful in arriving at operating procedures designed to reduce air mishaps. The original device was known as the "General Mills Flight Recorder". The benefits of the flight recorder and the coding apparatus for flight recorders were outlined by Ryan in his study entitled "Economies in Airline Operation with Flight Recorders" which was entered into the Congressional Record in 1956. Ryan's Flight Recorder maintained a continuing recording of aircraft flight data such as engine exhaust, temperature, fuel flow, aircraft velocity, altitude, control surfaces positions, and rate of descent. A "Cockpit Sound Recorder" (CSR) was independently invented and patented by Edmund A. Boniface, Jr., an aeronautical engineer at Lockheed Aircraft Corporation. He originally filed with the US Patent Office on February 2, 1961, as an "Aircraft Cockpit Sound Recorder". The 1961 invention was viewed by some as an "invasion of privacy". Subsequently Boniface filed again on February 4, 1963 for a "Cockpit Sound Recorder" (US Patent 3,327,067) with the addition of a spring-loaded switch which allowed the pilot to erase the audio/sound tape recording at the conclusion of a safe flight and landing. Boniface's participation in aircraft crash investigations in the 1940s and in the accident investigations of the loss of one of the wings at cruise altitude on each of two Lockheed Electra turboprop powered aircraft (Flight #542 operated by Braniff Airlines in 1959 and Flight #710 operated by Northwest Orient Airlines in 1961) led to his wondering what the pilots may have said just prior to the wing loss and during the descent as well as the type and nature of any sounds or explosions that may have preceded or occurred during the wing loss. His patent was for a device for recording audio of pilot remarks and engine or other sounds to be "contained with the in-flight recorder within a sealed container that is shock mounted, fireproofed and made watertight" and "sealed in such a manner as to be capable of withstanding extreme temperatures during a crash fire". The CSR was an analog device which provided a progressive erasing/recording loop (lasting 30 or more minutes) of all sounds (explosion, voice, and the noise of any aircraft structural components undergoing serious fracture and breakage) which could be overheard in the cockpit. GEE airborne equipment, with the R1355 receiver on the left and the Indicator Unit Type 62A 'black box' on the right. Also, magnetic tape and wire voice recorders had been tested on RAF and USAAF bombers by 1943 thus adding to the assemblage of fielded and experimental electronic devices employed on Allied aircraft. As early as 1944 aviation writers envisioned use of these recording devices on commercial aircraft to aid incident investigations. When modern flight recorders were proposed to the British Aeronautical Research Council in 1958, the term “black box” was in colloquial use by experts. Nevertheless, the technically precise terms used among aviation experts today are “flight data recorder” and “cockpit voice recorder,” respectively. The recorders are not permitted to be black in color, and must be bright orange, as they are intended to be spotted and recovered after incidents. A flight data recorder (FDR; also ADR, for accident data recorder) is an electronic device employed to record instructions sent to any electronic systems on an aircraft. The data recorded by the FDR are used for accident and incident investigation. Due to their importance in investigating accidents, these ICAO-regulated devices are carefully engineered and constructed to withstand the force of a high speed impact and the heat of an intense fire. Contrary to the popular term "black box", the exterior of the FDR is coated with heat-resistant bright orange paint for high visibility in wreckage, and the unit is usually mounted in the aircraft's tail section, where it is more likely to survive a severe crash. Following an accident, the recovery of the FDR is usually a high priority for the investigating body, as analysis of the recorded parameters can often detect and identify causes or contributing factors. Modern day FDRs receive inputs via specific data frames from the Flight Data Acquisition Units (FDAU). They record significant flight parameters, including the control and actuator positions, engine information and time of day. There are 88 parameters required as a minimum under current US federal regulations (only 29 were required until 2002), but some systems monitor many more variables. Generally each parameter is recorded a few times per second, though some units store "bursts" of data at a much higher frequency if the data begin to change quickly. Most FDRs record approximately 17–25 hours of data in a continuous loop. It is required by regulations that an FDR verification check (readout) is performed annually in order to verify that all mandatory parameters are recorded.Many aircraft today are equipped with an "event" button in the cockpit that could be activated by the crew if an abnormality occurs in flight. Pushing the button places a signal on the recording, marking the time of the event. Modern FDRs are typically double wrapped in strong corrosion-resistant stainless steel or titanium, with high-temperature insulation inside. Modern FDRs are accompanied by an underwater locator beacon that emits an ultrasonic "ping" to aid in detection when submerged. These beacons operate for up to 30 days and are able to operate while immersed to a depth of up to 6,000 meters (20,000 ft). A cockpit voice recorder (CVR) is a flight recorder used to record the audio environment in the flight deck of an aircraft for the purpose of investigation of accidents and incidents. This is typically achieved by recording the signals of the microphones and earphones of the pilots' headsets and of an area microphone in the roof of the cockpit. The current applicable FAA TSO is C123b titled Cockpit Voice Recorder Equipment. Where an aircraft is required to carry a CVR and uses digital communications the CVR is required to record such communications with air traffic control unless this is recorded elsewhere. As of 2008[update] it is an FAA requirement that the recording duration is a minimum of two hours. A standard CVR is capable of recording 4 channels of audio data for a period of 2 hours. The original requirement was for a CVR to record for 30 minutes, but this has been found to be insufficient in many cases because significant parts of the audio data needed for a subsequent investigation occurred more than 30 minutes before the end of the recording. The earliest CVRs used analog wire recording, later replaced by analog magnetic tape. Some of the tape units used two reels, with the tape automatically reversing at each end. The original was the ARL Flight Memory Unit produced in 1957 by Australian David Warren and an instrument maker named Tych Mirfield. Other units used a single reel, with the tape spliced into a continuous loop, much as in an 8-track cartridge. The tape would circulate and old audio information would be overwritten every 30 minutes. Recovery of sound from magnetic tape often proves difficult if the recorder is recovered from water and its housing has been breached. Thus, the latest designs employ solid-state memory and use digital recording techniques, making them much more resistant to shock, vibration and moisture. With the reduced power requirements of solid-state recorders, it is now practical to incorporate a battery in the units, so that recording can continue until flight termination, even if the aircraft electrical system fails. Like the FDR, the CVR is typically mounted in the rear of the airplane fuselage to maximize the likelihood of its survival in a crash. With the advent of digital recorders, the FDR and CVR can be manufactured in one fireproof, shock proof, and waterproof container as a combined digital Cockpit Voice and Data Recorder (CVDR). Currently, CVDRs are manufactured by L-3 Communications, as well as by other manufacturers. Solid state recorders became commercially practical in 1990, having the advantage of not requiring scheduled maintenance and making the data easier to retrieve. This was extended to the two-hour voice recording in 1995. Since the 1970s, most large civil jet transports have been additionally equipped with a "quick access recorder" (QAR). This records data on a removable storage medium. Access to the FDR and CVR is necessarily difficult because of the requirement that they survive an accident. They also require specialized equipment to read the recording. The QAR recording medium is readily removable and is designed to be read by equipment attached to a standard desktop computer. In many airlines, the quick access recordings are scanned for 'events', an event being a significant deviation from normal operational parameters. This allows operational problems to be detected and eliminated before an accident or incident results. Many modern aircraft systems are digital or digitally controlled. Very often, the digital system will include Built-In Test Equipment which records information about the operation of the system. This information may also be accessed to assist with the investigation of an accident or incident. Cockpit voice recorder memory module of PR-GTD, a Gol Transportes Aéreos Boeing 737-8EH SFP, found in the Amazon in Mato Grosso, Brazil. The design of today's FDR is governed by the internationally recognized standards and recommended practices relating to flight recorders which are contained in ICAO Annex 6 which makes reference to industry crashworthiness and fire protection specifications such as those to be found in the European Organisation for Civil Aviation Equipment documents EUROCAE ED55, ED56 fiken A and ED112 (Minimum Operational Performance Specification for Crash Protected Airborne Recorder Systems). In the United States, the Federal Aviation Administration (FAA) regulates all aspects of US aviation, and cites design requirements in their Technical Standard Order, based on the EUROCAE documents (as do the aviation authorities of many other countries). Currently, EUROCAE specifies that a recorder must be able to withstand an acceleration of 3400 g (33 km/s²) for 6.5 milliseconds. This is roughly equivalent to an impact velocity of 270 knots (310 mph; 500 km/h) and a deceleration or crushing distance of 45 cm. Additionally, there are requirements for penetration resistance, static crush, high and low temperature fires, deep sea pressure, sea water immersion, and fluid immersion. EUROCAE ED-112 (Minimum Operational Performance Specification for Crash Protected Airborne Recorder Systems) defines the minimum specification to be met for all aircraft requiring flight recorders for recording of flight data, cockpit audio, images and CNS / ATM digital messages and used for investigations of accidents or incidents. When issued in March 2003 ED-112 superseded previous ED-55 and ED-56A that were separate specifications for FDR and CVR. FAA TSOs for FDR and CVR reference ED-112 for characteristics common to both types. In order to facilitate recovery of the recorder from an aircraft accident site they are required to be coloured bright yellow or orange with reflective surfaces. All are lettered "FLIGHT RECORDER DO NOT OPEN" on one side in English and the same in French on the other side. To assist recovery from submerged sites they must be equipped with an underwater locator beacon which is automatically activated in the event of an accident. In the investigation of the 1960 crash of Trans Australia Airlines Flight 538 at Mackay (Queensland), the inquiry judge strongly recommended that flight recorders be installed in all Australian airliners. Australia became the first country in the world to make cockpit-voice recording compulsory. The United States' first CVR rules were passed in 1964, requiring all turbine and piston aircraft with four or more engines to have CVRs by March 1, 1967. As of 2008[update] it is an FAA requirement that the CVR recording duration is a minimum of two hours, following the NTSB recommendation that it should be increased from its previously-mandated 30-minute duration. As of 2014[update], the United States requires flight data recorders and cockpit voice recorders on aircraft that have 20 or more passenger seats, or those that have six or more passenger seats, are turbine-powered, and require two pilots. For US air carriers and manufacturers, the National Transportation Safety Board (NTSB) is responsible for investigating accidents and safety-related incidents. The NTSB also serves in an advisory role for many international investigations not under its formal jurisdiction. The NTSB does not have regulatory authority, but must depend on legislation and other government agencies to act on its safety recommendations. In addition, 49 USC Section 1114(c) prohibits the NTSB from making the audio recordings public except by written transcript. The ARINC Standards are prepared by the Airlines Electronic Engineering Committee (AEEC). The 700 Series of standards describe the form, fit, and function of avionics equipment installed predominately on transport category aircraft. The FDR is defined by ARINC Characteristic 747. The CVR is defined by ARINC Characteristic 757. The NTSB recommended in 1999 that operators be required to install two sets of CVDR systems, with the second CVDR set being "deployable or ejectable". The "deployable" recorder combines the cockpit voice/flight data recorders and an emergency locator transmitter (ELT) in a single unit. The "deployable" unit would depart the aircraft before impact, activated by sensors. The unit is designed to "eject" and "fly" away from the crash site, to survive the terminal velocity of fall, to float on water indefinitely, and would be equipped with satellite technology for immediate location of crash impact site. The "deployable" CVDR technology has been used by the US Navy since 1993. The recommendations would involve a massive retrofit program. However, government funding would negate cost objections from manufacturers and airlines. Operators would get both sets of recorders for free: they would not have to pay for the one set they are currently required by law to carry. The cost of the second "deployable/ejectable CVDR" (or "Black Box") was estimated at US$30 million for installation in 500 new aircraft (about $60,000 per new commercial plane). In the United States, the proposed SAFE Act calls for implementing the NTSB 1999 recommendations. However, so far the SAFE ACT legislation has failed to pass Congress, having been introduced in 2003 (H.R. 2632), in 2005 (H.R. 3336), and in 2007 (H.R. 4336). Originally the "Safe Aviation Flight Enhancement (SAFE) Act of 2003" was introduced on June 26, 2003 by Congressman David Price (NC) and Congressman John Duncan (Tennessee) in a bipartisan effort to ensure investigators have access to information immediately following commercial accidents. On July 19, 2005, a revised SAFE Act was introduced and referred to the Committee on Transportation and Infrastructure of the US House of Representatives. The bill was referred to the House Subcommittee on Aviation during the 108th, 109th, and 110th Congresses. The NTSB has asked for the installation of cockpit image recorders in large transport aircraft to provide information that would supplement existing CVR and FDR data in accident investigations. They have recommended that image recorders be placed into smaller aircraft that are not required to have a CVR or FDR. The rationale is that what is seen on an instrument by the pilots of an aircraft is not necessarily the same as the data sent to the display device. This is particularly true of aircraft equipped with electronic displays (CRT or LCD). A mechanical instrument is likely to preserve its last indication, but this is not the case with an electronic display. Such systems, estimated to cost less than $8,000 installed, typically consist of a camera and microphone located in the cockpit to continuously record cockpit instrumentation, the outside viewing area, engine sounds, radio communications, and ambient cockpit sounds. As with conventional CVRs and FDRs, data from such a system is stored in a crash-protected unit to ensure survivability. 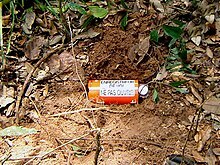 Since the recorders can sometimes be crushed into unreadable pieces, or even located in deep water, some modern units are self-ejecting (taking advantage of kinetic energy at impact to separate themselves from the aircraft) and also equipped with radio emergency locator transmitters and sonar underwater locator beacons to aid in their location. On March 12, 2014, in response to the missing Malaysia Airlines Flight 370, David Price re-introduced the SAFE Act in the US House of Representatives. The disappearance of Malaysia Airlines Flight 370 demonstrated the limits of the contemporary flight recorder technology, namely how physical possession of the flight recorder device is necessary to help investigate the cause of an aircraft incident. Considering the advances of modern communication, technology commentators called for flight recorders to be supplemented or replaced by a system that provides "live streaming" of data from the aircraft to the ground. Furthermore, commentators called for the underwater locator beacon's range and battery life to be extended, as well as the outfitting of civil aircraft with the deployable flight recorders typically used in military aircraft. Previous to MH370, the investigators of the 2009 Air France Flight 447 urged to extend the battery life as "rapidly as possible" after the crash's flight recorders went unrecovered for over a year. Live flight data streaming like on the Boeing 777F EcoDemonstrator, plus 20 min of data before and after a triggering event, could have removed the uncertainty before the Boeing 737 MAX groundings following the March 2019 Ethiopian Airlines Flight 302 crash. On December 28, 2014, Indonesia AirAsia Flight 8501, en route from Surabaya, Indonesia, to Singapore, crashed in bad weather, killing all 155 passengers and seven crew on board. On January 12 and 13, 2015, following the recovery of the flight recorders, an anonymous ICAO representative said: "The time has come that deployable recorders are going to get a serious look." Unlike military recorders, which jettison away from an aircraft, signaling their location to search and rescue bodies, recorders on commercial aircraft remain inside the fuselage. A second ICAO official said that public attention had "galvanized momentum in favour of ejectable recorders on commercial aircraft". The artwork for the band Rammstein's album Reise, Reise is made to look like a CVR; it also includes a recording from a crash. The recording is from the last 1–2 minutes of the CVR of Japan Airlines Flight 123, which crashed on August 12, 1985, killing 520 people; JAL 123 is the deadliest single-aircraft disaster in history. Members of the performing arts collective Collective:Unconscious made a theatrical presentation of a play called Charlie Victor Romeo with a script based on transcripts from CVR voice recordings of nine aircraft emergencies. The play features the famous United Airlines Flight 232 that landed in a cornfield near Sioux City, Iowa after suffering a catastrophic failure of one engine and most flight controls. Survivor, a novel by Chuck Palahniuk, is about a cult member who dictates his life story to a flight recorder before the plane runs out of fuel and crashes. ^ "Mata-Hari or Black Box". Museums of Tampere. 1946. Archived from the original on October 19, 2017. Retrieved October 19, 2017. ^ Porter, Kenneth (January 1944). "Radio News, 'Radio - On a Flying Fortress,' p. 21" (PDF). www.americanradiohistory.com. Retrieved February 13, 2019. ^ a b "Dave Warren – Inventor of the black box flight recorder". Defence Science and Technology Organisation. Archived from the original on July 6, 2011. ^ a b "Australia invented the Black Box voice and instrument recorder". apc-online.com. February 9, 2000. Retrieved March 11, 2014. ^ a b c d Marcus Williamson (July 31, 2010). "David Warren: Inventor and developer of the 'black box' flight data recorder". The Independent. ^ "A Brief History of Black Boxes". Time Magazine. No. July 20. 2009. p. 22. Retrieved February 1, 2012. ^ Tony Bailey (January 2006). "Flight Data Recorders – Built to Survive" (PDF). aea.net. Avionics News. p. 38. ^ "Aviation History - Books, Facts, News, Photos / Art Gallery". aviationhistory.org. ^ a b "Cockpit Sound Recorder". Google Patents. Google Inc. Retrieved December 31, 2013. ^ "The Flight Data Recorder". Aviation Digest, May 11, 2015, page 58. ^ "Flight, 'Radar for Airlines'," p. 434". www.flightglobal.com. May 2, 1945. Retrieved February 13, 2019. ^ Corddry, Charles, Jr. (August 1944). Flying, 'Aerial Eavesdropper'. p. 150. ^ Scott, Geoffrey (December 14, 1967). "Flight, 'Saving the Record'". www.flightglobal.com. p. 1002. Retrieved February 13, 2019. ^ "France to resume 'black box' hunt". BBC News. December 13, 2009. Retrieved April 30, 2010. ^ "Flight Data Recorder Systems" (PDF). Federal Aviation Administration. April 10, 2007. Section 3 Point B. Retrieved April 8, 2010. ^ "Aircraft Electronics + Electrical Systems: Flight data and cockpit voice recorders". industrial-electronics.com. A Measurment- Testing network. Retrieved March 27, 2019. ^ "Flight Data Recorder OSA". ^ "SSFDR Solid State Flight Data Recorder, ARINC 747 - TSO C 124 - ED 55" (PDF). Archived from the original (PDF) on November 8, 2012. ^ "Cockpit Voice Recorder Equipment" (PDF). Federal Aviation Administration. June 1, 2006. Retrieved April 21, 2007. ^ a b "Federal Aviation Regulation Sec. 121.359(h)(i)(2), amendment 338 and greater – Cockpit voice recorders". Risingup.com. Retrieved February 7, 2013. ^ "Federal Aviation Regulation Sec. 23.1457 – Cockpit voice recorders". Risingup.com. Retrieved February 7, 2013. ^ "L-3 Aviation Recorders". l-3ar.com. ^ "History of Flight Recorders". L3 Flight Recorders. Archived from the original on December 11, 2013. ^ Luftfahrt. "European Organisation for Civil Aviation Equipment". Eurocae.net. Retrieved March 11, 2014. ^ "TSO-C124a FAA Regs". Airweb.faa.gov. May 23, 2006. Retrieved March 11, 2014. ^ "Black box flight recorders". ATSB. April 1, 2014. ^ "Dave Warren - Inventor of the black box flight recorder". Defence Science and Technology Organisation. March 29, 2005. Archived from the original on May 22, 2010. Retrieved April 20, 2010. ^ Campbell, Neil. "The Evolution of Flight Data Analysis" (PDF). Proc. Australian Society of Air Safety Investigators conference, 2007. ^ > U.S. Code of Federal Regulations (April 25, 2010). "14 CFR 91.609". Legal Information Institute. Cornell Law School. Retrieved June 17, 2016. ^ > "History of the NTSB". NTSB Official Site. Retrieved June 17, 2016. ^ "CVR Handbook" (PDF). www.ntsb.gov. ^ "ARINC Store, 700 series". ^ a b "Aviation Today". aviationtoday.com. Archived from the original on March 25, 2014. ^ "Safe Aviation and Flight Enhancement Act of 2005 (2005; 109th Congress H.R. 3336) - GovTrack.us". GovTrack.us. ^ "Text of the Safe Aviation and Flight Enhancement Act-((SAFE) Act of 2003)". Retrieved August 2, 2015 – via govtrack.us. ^ "Bill Text - 108th Congress (2003-2004) - THOMAS (Library of Congress)". Thomas.loc.gov. Retrieved March 11, 2014. ^ "Bill Text - 109th Congress (2005-2006) - THOMAS (Library of Congress)". Thomas.loc.gov. Retrieved March 11, 2014. ^ "Bill Text - 110th Congress (2007-2008) - THOMAS (Library of Congress)". Thomas.loc.gov. Retrieved March 11, 2014. ^ a b "NTSB — Most Wanted". Ntsb.gov. Archived from the original on November 3, 2013. Retrieved March 11, 2014. ^ Jansen, Bart. "Lawmaker urges 'black boxes' that eject from planes". USA Today. ^ "Malaysia Airlines flight MH370 makes it clear: we need to rethink black boxes | Stephen Trimble | Comment is free". theguardian.com. Retrieved March 31, 2014. ^ "Malaysia Airlines MH370: Why airlines don't live-stream black box data". Technology & Science. CBC News. August 4, 2005. Retrieved March 31, 2014. ^ Yu, Yijun. "If we’d used the cloud, we might know where MH370 is now", The Conversation (website), London, March 18, 2014. Retrieved on August 21, 2014. ^ "MH370: Expert demands better black box technology". The Sydney Morning Herald. ^ "Opinion: The Time Is Ripe For Live Flight Data Streaming". Aviation Week & Space Technology. March 22, 2019. ^ "AirAsia QZ8501: More bad weather hits AirAsia search". BBC News. January 1, 2015. ^ "AirAsia crash makes case for ejectable black boxes". Reuters. Retrieved January 14, 2015. ^ "Collective: Unconscious". Charlievictorromeo.com. July 3, 2012. Retrieved February 7, 2013. American Aviation Historical Society, Volume 59, Fall-Winter 2014, "Edmund A. Boniface, Jr.: Inventing the Cockpit Sound Recorder"
Siegel, Greg (2014). "Chapter 3. Black Boxes". Forensic Media: Reconstructing Accidents in Accelerated Modernity. Duke University Press. pp. 89–142. ISBN 978-0-8223-7623-1. Wyatt, David; Mike Tooley (2009). "Chapter 18. Flight data and cockpit voice recorders". Aircraft Electrical and Electronic Systems. Routledge. p. 321. ISBN 978-1-136-44435-7. Ben Hargreaves (April 13, 2017). "Flight Data Recorder Evolution: Where Next?". MRO-network. Aviation Week. Could flight data recorders evolve to be useful in preventative maintenance as well?. Wikimedia Commons has media related to Cockpit voice recorders. "A crash course in transportation safety". Archived from the original on February 11, 2009. Retrieved 2014-04-07. "His Crashes Helped Make Ours Less Dangerous"
‹See Tfd›US 3075192 James J. Ryan: "Coding Apparatus for Flight Recorders and the Like"
First modern flight recorder "Mata Hari" at display in Tampere museum Vapriikki.